I realize that while my world of novels and books will always be there to entertain and enlighten, we are on riding the wave of a graphic revolution. We have, we use, and we are bombarded with images everywhere. And we increasingly need these images to better communicate and convince. While this 'revolution' has been around for a while it has only recently hit me how extensive it is. I now LOVE graphic novels, instructions are graphic, and road signs use more and more images to convey information. Since reading my first graphic novel last year (Joe Kelly's I Kill Giants), I have read numerous outstanding educational graphic novels for kids - chalk full of extensive vocabulary, well-written dialogue, exquisitely inviting art, and exciting stories of fiction and nonfiction, science and technology, history, social conflict and the search of identities. I have also learned that graphic novels are the fastest selling format of kids' books, and find myself the author of a book on how to integrate graphic novels into middle school curriculum. Major publishers have now set up graphic novel divisions and while Barnes & Nobles don't quite know how to shelve them yet, they're out there! Furthermore, librarians have realized that graphic novels bring kids and young adults back into libraries, and that graphic novels are bringing kids back to books and reading! Graphic novels literally illustrate the art of story-telling. We use graphic images in everything thing we do. We have visual icons that relay safety messages and product information. We use them to cross the street. We use them to advertise. We use them in presentations. We use them to convince. When was the last time you went to a presentation or workshop and just sat and listened? To sell an idea or product we use Power Point, we teach with handouts, advertisers agonize over the most striking and memorable images. We sell everything with images. Look at your favorite blogs. I don't know about you, but I favor some visual support when reading them. The images are inviting, they help break up the screen, and they add a dimension to the message. Because so many of our products come from other countries or are sold world wide, instructions must be universally understood. While some companies will provide written instructions / warnings in multiple languages, many are instead simply going graphic! It's this last point that really got me to this graphic revolution point! My daughter just moved to Boston where she started work on Monday. 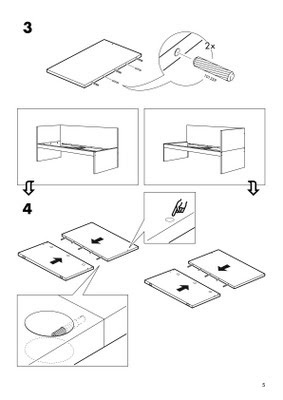 We went to Ikea to furnish her apartment and found ALL the directions were purely graphic! Communicating with images is here to stay! 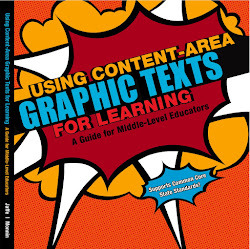 The International Reading Association (IRA) and the National Council of Teachers of English (NTCE) have included in their standards that "Students read a wide range of print and non-print texts"
EDUCATION MUST include and address this graphic revolution. We should never abandon our classics. I love teaching Mary Shelley's Frankenstein and Andrew Clemen's Frindle, but we also have to teach kids how to use Power Point, how to read graphic instructions/directions, and how to tell stories with graphic images, even how to "read" faces. Hence, enter graphic novels - a wonderful bridge for both worlds. Include graphic novels in your reading repertoire and in your read aloud repertoire with your kids. Focus on learning to read the details in illustrations. Talk about advertising icons - why do you thing a company / advertisers chose a particular image? Was it effective? Talk about art, the use of color, the use of particular shapes...what these images portray...what emotions they evoke. I am curious - how much have graphic images invaded your worlds? How do you help teach your kids to cope with the images they're bombarded with? How do you cope? Please let me know in your comments! Ok, now I'm sitting here with tears in my eyes. I can hardly see the screen. Everything I was going to say went out the window with "The Return" advertisment. Amazing how powerful it is... and no words - just images. The power of the image. I love graphic novels and I will buy them for the kids at my library...I can even get them to read the English ones (we're in Germany), which is brilliant. There are many graphic novels that can easily compare to highly acclaimed literary works: When the Wind Blows, Watchmen, Blacksad or Maus to name just a few. The simple lines of a Peanuts strip says it all. I recommend the books by Scott McCloud to anyone with an interest in comics, but also to learn how we communicate with images. They make a fascinating read. What an interesting post, and so informative. My son is a Graphic Artist. Both of the videos are outstanding....so different, yet so powerful. It amazes me actually that my kids can recognize something out of graphic representation only more than me! God's Marvelous Gift. Have a great day! We can see how the power of the image sells almost anything, everything from toys to clothes, movies, and so much more. Very interesting post today. As you know, we all learn in so many different ways. The visual is very important. I was so excited when I finally figured out how to do visuals on my blog. Very interesting post. I'll admit that I have trouble following graphic instructions. I'm a mix because I've always loved art and photography and images of all kinds. But in terms of learning I'm very word oriented. Graphics work for me from an aesthetic stand point but it's hard for me to follow them from an informational stand point. I should qualify that by saying visuals do speak to me if the information is a mood or to go with words but in terms of how to I do better with words. Hooray, some one else who struggles with graphic instructions. 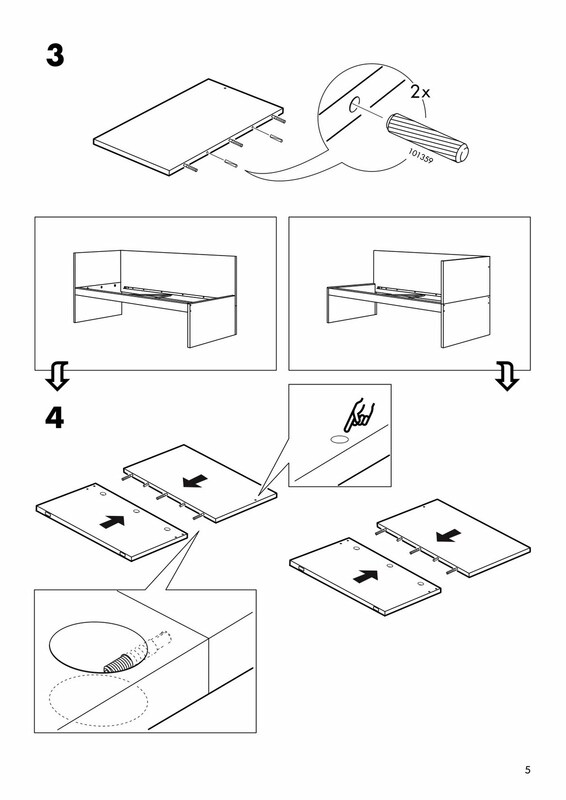 It may take longer to read the words but at lest the item will be assembled correctly! I liked the old cover to To Kill a Mocking Bird! Everything does seem to be going graphic and digital. This post is so interesting. Beyond the comic books I read in high school (yeah, nerd alert), I haven't read any graphic novels. I will have to start looking for them. You make a great point about how our society, now that our world is more connected, is moving more and more towards graphic images instead of words. Thank you for this informative post. When I teach (taught) I always use illustrations, videos or DVD's and, what I think more important, audio tapes or CD's. Because I teach English and try to get students to speak proper English with the right pronunciation. The more they listen the better the result. I combine listening, reading, writing and speaking. Every lesson we practise these four aspects of a language, for they support each other. Once again I'm reminded how important it is to stay up-to-date on trends in child development. I hadn't considered the importance of teaching our kids to read visual images before seeing your post. Thanks for the info.! Very interesting post! I realized how drawn I am to graphics until I read this post! Only in this generation that graphics are being used very much which is for me fine. I teach 3rd grade religious education at church and presenting my lesson with graphics is more lively. But I did encourage them to know the word and spell it so I gave them a chance to write the word/s on the board. And I find it very productive. Love this post and thanks for sharing.